It was the end of my work week and I got in a conversation about book notes. Amy Fortney-Parks and I were talking about growing her consulting business through speaking and writing a book and we started to talk about how to take notes while reading. Amy’s practice has been booming and she continues to look at how to level-up. As we talked, I mentioned that in the book Talk Like TED: The 9 Public-Speaking Secrets of the World’s Top Minds , the author discusses how the top TED Talks typically have about 40% stories, 40% research, and 20% connecting the dots, using those stories and research as the examples. 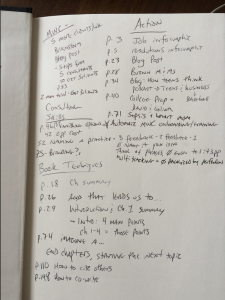 “How do you keep track of all the things you learn in books?” Amy asked me. “It’s easy I just…” I walked through the exact formula I use. “That’s brilliant! You have to write a blog post about that!” she said. Isn’t that true? When we think about what we know, we just know it. But when you don’t know it, it seems a monumental task. Think about building your own computer, changing your brakes, or installing a furnace. It’s easy for people that know how, but I would have no idea how to do that! I wanted to keep track of what I was reading, so I just did it. 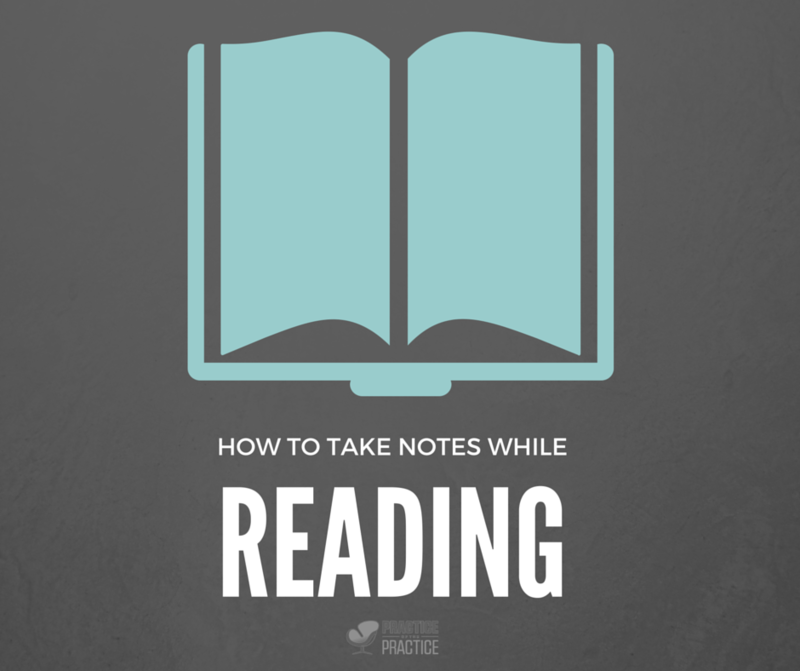 I never thought of it as “book notes” or “How to take notes while reading a book.” I never thought anyone would find it “brilliant.” So here it goes. You can read and read, but if you don’t take planned action and change what you are doing, it does not matter! What are you getting out of your reading? So why do you read non-fiction? Create columns on the first blank page regarding what you want to get out of it. For example, in the photo to the left, you’ll see that I have my goals, then a page number and then a 1-3 words. When I go to that page, I have spent more time on the idea through writing more, underlining, or connecting concepts. Within the book itself, I use codes so it’s easy to remember what I was thinking. Brackets: I use [brackets] for bigger concepts to theories. I then number the points next to them, underline the main point and somethings even connect them with lines. When planning a a [keynote] there are three specific things to keep in mind. 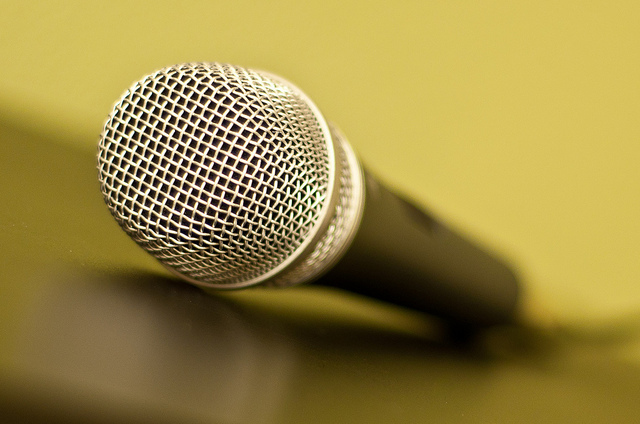 Most new keynote speakers do not practice enough. Make sure you take time to practice out loud so that you have your talk memorized (1). Secondly, they don’t chunk out there talk. Chunking a talk (2) is when you have cards in your mental deck. It might be the story about mayonnaise that is the concepts of symbols that leads into the research about guinea pigs in Peru, and then ends with the story about when you pooped in Nepal. Lastly, only use PowerPoint to enhance your talk. 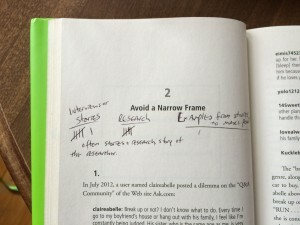 Never use it as a prompt for your notes, instead, it should make a concept more clear because it adds a visual component (3) or something unique. You don’t want people reading and listening. In this situation I have underlined the most important parts and I might even connect them with lines or put numbers in the sidebar. As you take book notes, you never know what will inspire you later. I no longer lend out books, instead I buy someone a book, my notes are too valuable at this point to lose. Also, I keep all of my business books in the same place, so I never have to hunt for inspiration. If ideas from the book keep coming to the top of my mind, I add it to my “someday” list in my notes section of my iPhone. Having a system for keeping track of ideas, makes it easier to know what to do with five or 50 extra minutes, because instead of looking at a blank screen, you have a huge list of potential ideas. Joe Sanok is an ideas guy. He’s small scale, with a big mindset. He’s working on his book “Small Scale, Big Mindset” which he hopes will be a springboard into a New York Times bestseller. 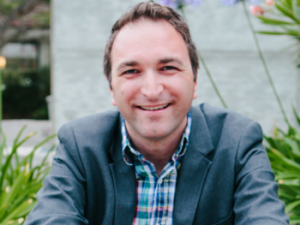 Joe is a keynote speaker, and small business consultant with a focus on marketing and sales funnels that are authentic. Joe is a counselor and owner at Mental Wellness Counseling in Traverse City.